Sam is once again the epitome of fashion-cool with this denim-coloured shirt. Just, you know, in case there wasn’t enough denim in his life. Like most of Sam’s shirts, it does up with snaps. It has two breast pockets with flaps as well. I’m assuming that it’s the same shirt as seen in S4 – and that the collar might do up with two buttons instead of snaps (this is based on making assumptions that reduce the number of clothes owned by the Winchesters, and because I lack enough evidence to the contrary). 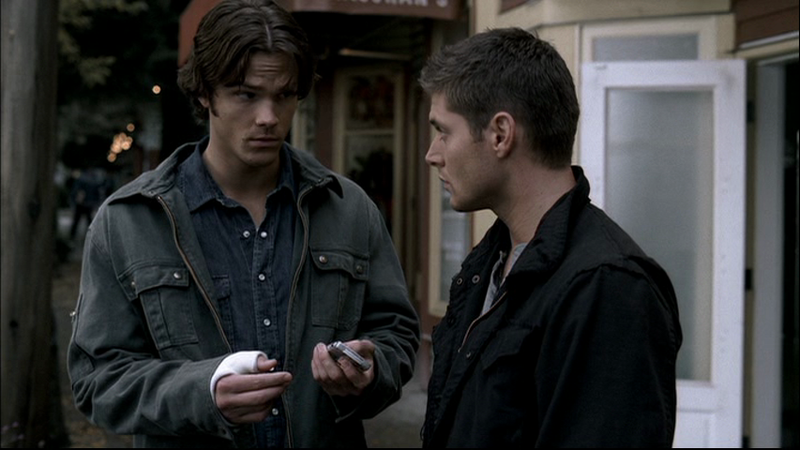 It first appears in Croatoan (2x09), Sam wears it for the entire episode, except for the first scene when he has the vision and the final scene when he and Dean are talking by the river. 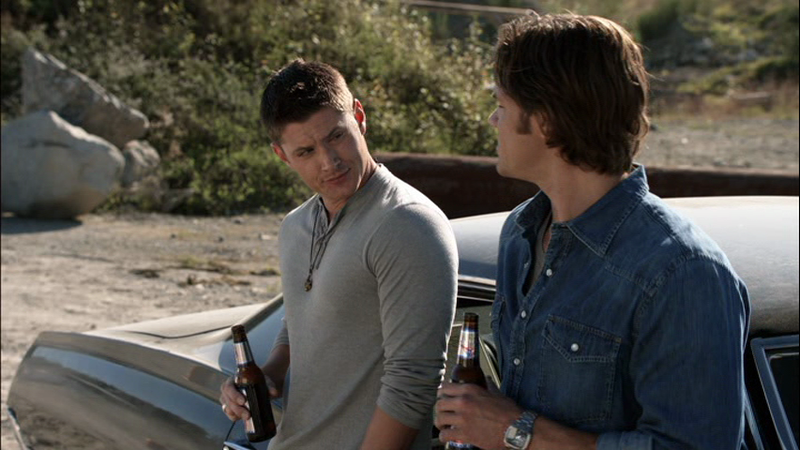 In Yellow Fever (4x06), Sam wears it after they meet with the snake guy, when they discover that Dean is haunted, and again at the end of the episode when he enjoys a beer with Dean out in the sunshine by the sawmill.